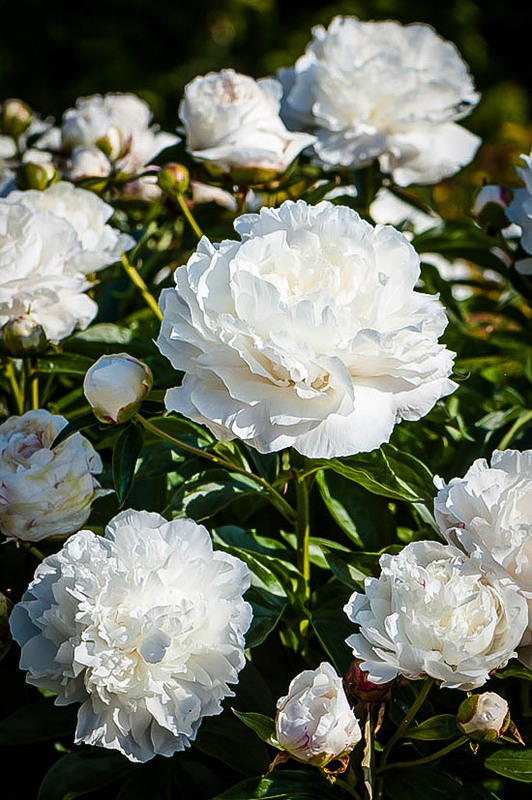 Peony Shirley Temple will grow to be around three feet wide and the same tall, and year after year it will present you with a bounty of gorgeous double-flower blooms. The young flower is the palest of pinks, before turning to an ivory white as it opens. 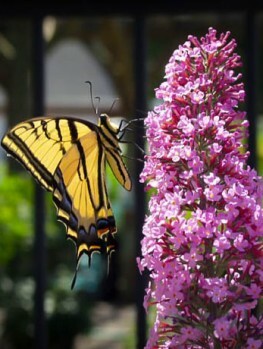 The purity glows in the garden, complementing all other colors and bringing a soft charm to every garden. Peonies are garden standards, especially in colder regions, and are among the most astounding flowers you can grow. 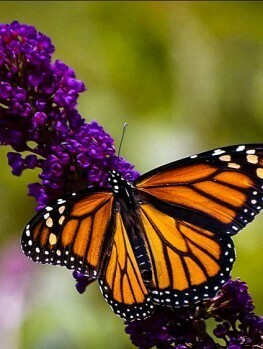 Yet they are trouble-free, happy in most soils and live for decades without needing any special care. They even have lovely fall colors in their foliage, so provide beauty twice a year. 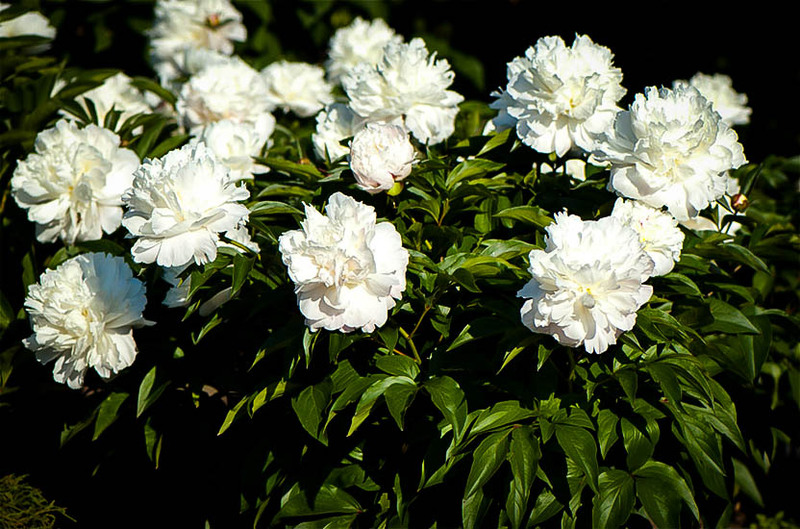 Your Peony Shirley Temple will fit into your garden, whatever its style, bringing wonder and beauty to the early summer season like no other flowering plant can. Flowering shrubs are an asset to any landscape, and few are as pretty or undemanding as Peonies – and ‘Shirley Temple’ is considered to be one of the finest examples available. A well balanced garden will have layers of interest and form, from the tall and striking trees that give welcome shade in the height of summer to the tiny mosses that bring a real tactile texture to bare bits of soil. 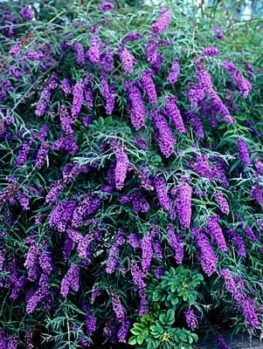 Shrubs give textures between these great highs and lows and can offer many things, from interesting foliage to striking flowers that can be beautifully scented and will bring pleasure not only to you but to the many winged creatures that feast upon their nectar. 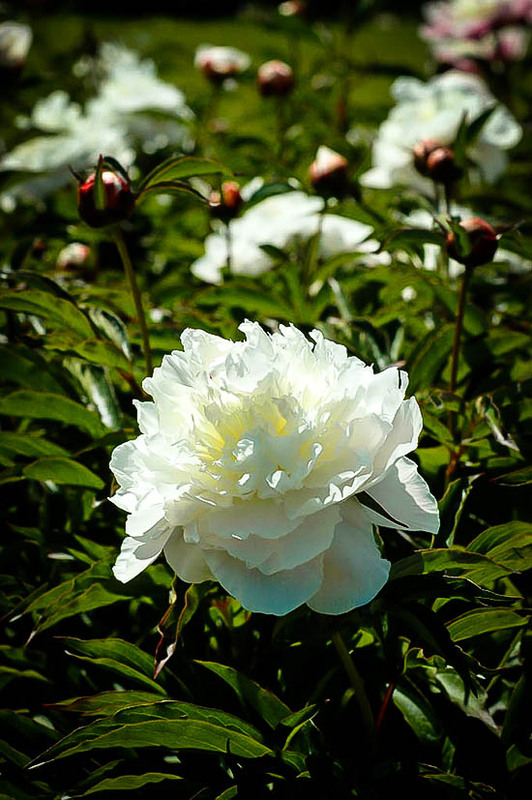 Peonies themselves are in fact native to Asia, from Eastern Tibet to northern China and eastern Siberia. Their cultivars number into the hundreds, from the simple to the highly complex, with ‘Shirley Temple’ being a good example of the latter. Maybe surprisingly, something that has aided their popularity is the ease with which they can be grown. 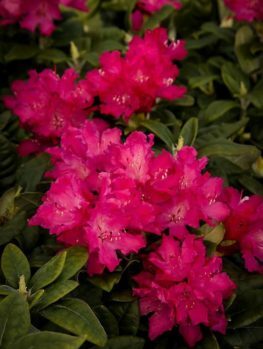 Although the first year following planting is unlikely to furnish you with their spectacular blooms every year after that you can expect to be treated to them, and for this you have to do very little. 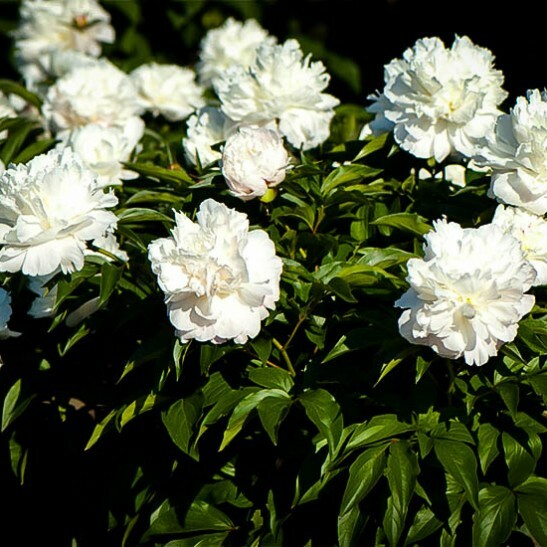 The ‘Shirley Temple’ cultivar is a mounding Peony that will eventually be as high as it is wide, but at a sensible and manageable size of about three feet. This makes them ideal for border planting and edging for paths and walkways. With roots that resemble carrots they will survive happy in full sun in beds that sit alongside walls, and make a wonderful choice for planting underneath windows so that the flowers can be seen and enjoyed from within your home. The foliage alone is interesting, and provides a wonderful backdrop to the showy flowers that appear in late spring and persist into summer. 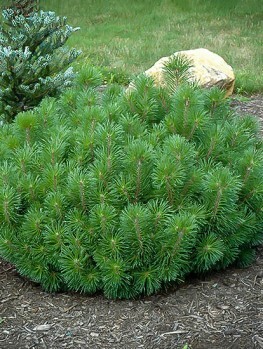 Densely packed, the rich mid-green leaves appear slender and long, pointed at the end and quite deeply grooved. The outer edges are drawn up somewhat, giving the impression someone has diligently and carefully folded each one giving a lovely depth to the plant. The flower buds add a shot of deep red as they stand proud of the foliage – a small smoldering globe filled with the promise of what is to come. From this compact little form unfurls a multitude of the finest tissue paper petals you are likely to see; the double-flowers bearing looser and larger petals on the outside that, as they travel inwards, become more densely packed with the very center displaying complex whorls of petals wound around one another. If you were to pick one petal you would find only the merest hint of delicate pink; however when clustered together within the flower this pale pink is amplified as though by an inner light and they appear to glow from within. As the flower matures over its relatively short life the pink fades away and leaves a glorious ivory-white bloom. These highly scented flowers are something special to behold and are much loved by gardeners the world over for a good reason. Peonies are not demanding plants but you will find that full sun in a sheltered position will bring out the very best they have to offer. Although they will survive with some shade you will find the flowers to be lacking and certainly not as numerous as they might be. 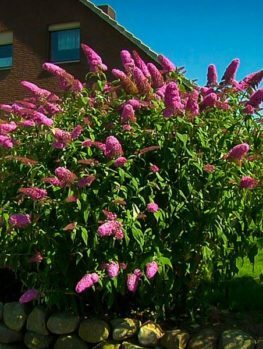 Unusually for flowering shrubs, the best time of year to plant out your new addition is not spring, as you might expect, but rather early fall as this allows them the winter to settle and adjust. Well drained soil is important and they require regular watering in summer. Although the soil ought to be of good quality, ‘Shirley Temple’ has few other requirements and will adapt to clay, sand and loams with little difficulty, and with no preference for alkaline or acid levels of the ground, positioning should be relatively easy. 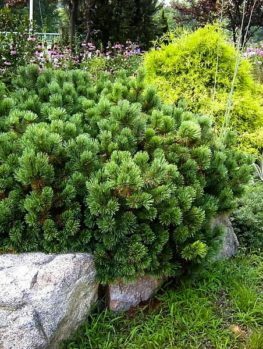 These are slow growing shrubs and as such do not require pruning or shaping, forming their own clump-like mound without any interference from you. Once blooming begins, the flowers can be cut and used in arrangements or even added to a pretty jug so that the aroma and beauty may be brought into your home. It is better to snip the flowers when young for this purpose as this will give them around a week of life in a vase. Once you have found your sheltered, sunny and well drained position, all you have to do is sit back and wait for the fun part to begin. 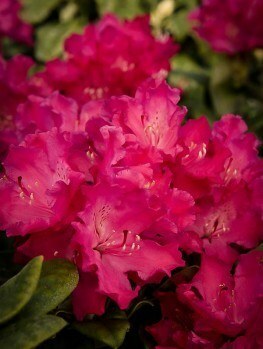 Water them well and try not to let the soil dry out during the budding period and that one flowerless year will soon be forgotten, when you are looking forward to decades of these delightful, delicate yet bold blooms.